Add an elegant touch to your home while streamlining your interiors with the 1000w, 580 x 1300mm Triga E vertical designer electric radiator - offering Bluetooth enabled smart heating on android & iOS devices. Please note: The Terma Triga E is part of our range of bespoke, non-stocked products. Due to the fact it is custom made, this item is non-refundable unless damaged. 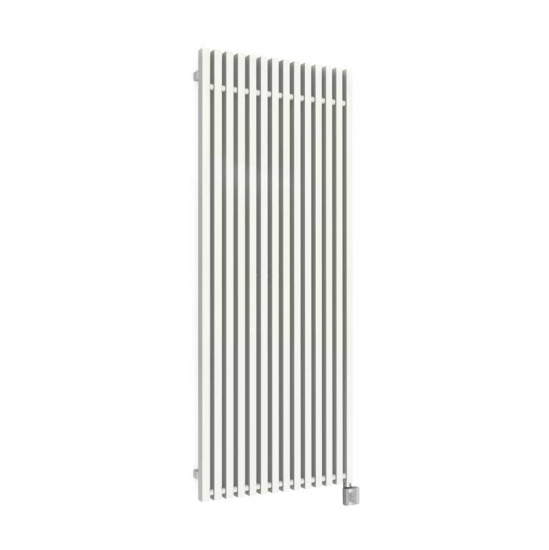 Terma Triga Vertical Designer Electric Radiators blend unique heater design with advanced controls, providing a stylish and functional heating system. This 1000w Triga is suitable for small to medium spaces and comes finished in white, with anthracite and horizontal versions also available.